Love that outfit and the whole look is very stylish!!! Very chic lady!! !I love this outfit and this hat is wow!! Love your style sweetie! This look is absolutely amazing! !I I love everything! Love these photos, you are beyond stunning. Just gorgeous!! You look fantastic, specially love the colours. I'm so in love with what you've done here. The color is just so gorgeous!!! Perfection. Io questa borsa ce l'ho marrone (: Reb, xoxo. Gorgeous make-up, I'm loving the shade of your lipstick! And I adore your bag! I'm following you now via GFC & Bloglovin'! Hey thanks for visit my blog, I would like to follow each other of course. Omg you're stunning!!!!!!!!!!!!!!!!!!!!! So much Kim Kardashian!!! You're beautiful!!! You look stunning in these pictures! 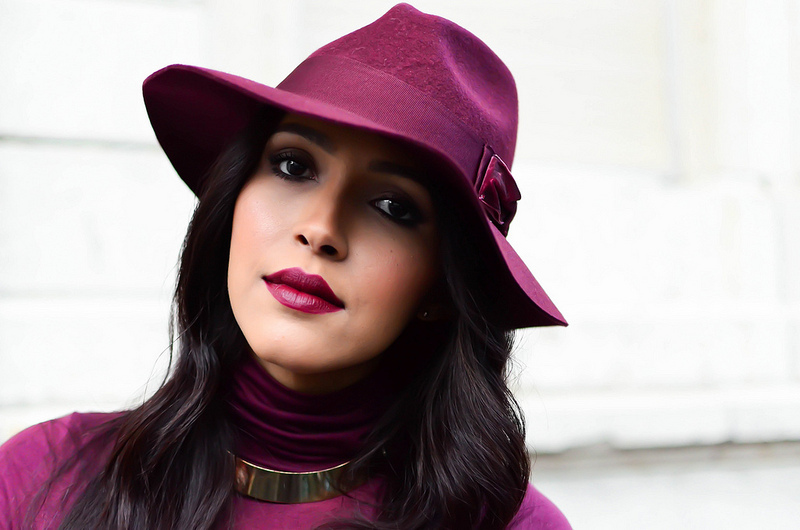 i adore this burgundy look! You look stunning! Love the look! Brand new to your blog, and have added to my Google Reader feed. LOVE. Wow, this is a really amazing outfit, the colours and your personality and all... you are just wow! 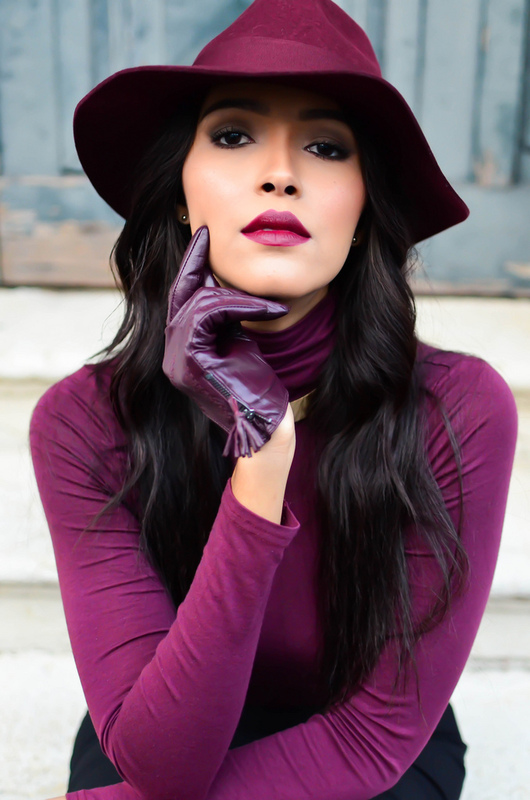 Perfect burgundy look. I love the whole outfit. Guauuu, fantastic!!.. Great look! !, it's really amazing!. If you want we can follow each other via GFC and Bloglovin. Let me know, I'll lovely follow you! Wow!, You know that You looking like fashion star! Perfect face, perfect body, perfect syle! You look beautiful ! That aubergine color is simply stunning ! Thanks for passing by and leaving a comment, ofcourse i will follow you! You look wonderfull and so chic! amazing outfit! love the color, and the gloves= absolutely stunning! HELLO MODEL! Looking absolutely stunning! Amazing style and beauty. This look is so fierce! if you follow I will follow back! to be an onerous burden.